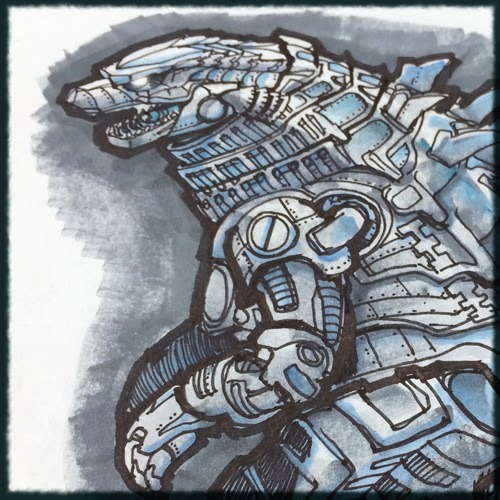 One of the reasons I created Everything Kaiju is to get into concept art. Most concept artist are technically proficient, but the best ones live up to the "concept" part. You can see them work out ideas in an illustration. 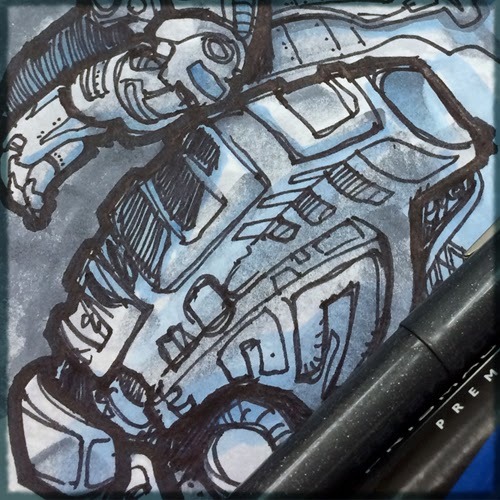 That's what this quick sketch is, just me exploring a few ideas. 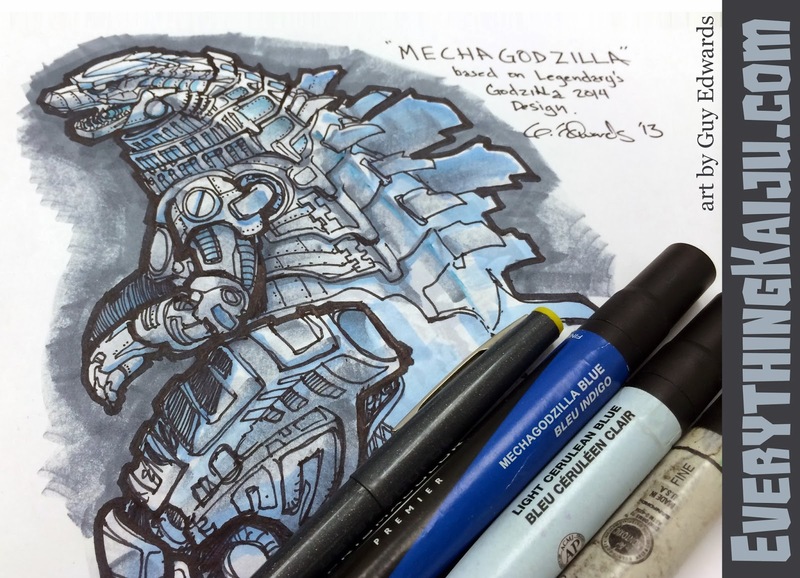 This is a Mechagodzilla based on Legendary Pictures' 2014 Godzilla concept. Below are some detail pics of the illustration along with my thought process. 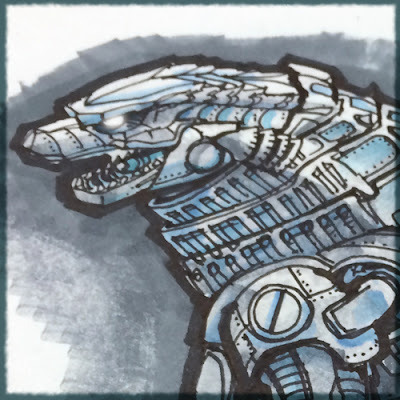 Mechagodzilla 2014 Head detail: Wanted to keep the top teeth in the back so he looked like he had a permanent sneer. Included the "fins" on the neck. In retropect I would go a different route with the plating on top of the head, it looks a little too organic. 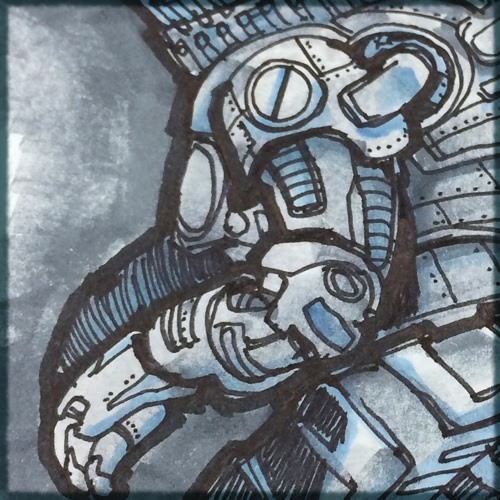 Arm Detail: The arm is done in a more modern anime mech style, this style is also seen in many video game exosuits. Dorsal detail: Again the fins may be too organic, but I do like how the side plates lay on top of each other like samurai armor. I also like the texture the rounded square with rivets looks. I only have four starting at the top, should have continued them all the way down. Leg/Thigh detail: Although rougher than the top half, this is where I feel like I am really getting a feel on how to embellish the empty spaces. I tried out some Ralph McQuarrie (Star Wars) geometries and I think they worked out well on the thigh. Now that I have the initial brainstorming sketch done I think I'll make some adjustments. Stay tuned for a more polished version. Great job-very nice design to go along with G '14. I'm an artist too, so I know great work when I see it! I'd much rather see a 'Jet Jaguar' type robot though. 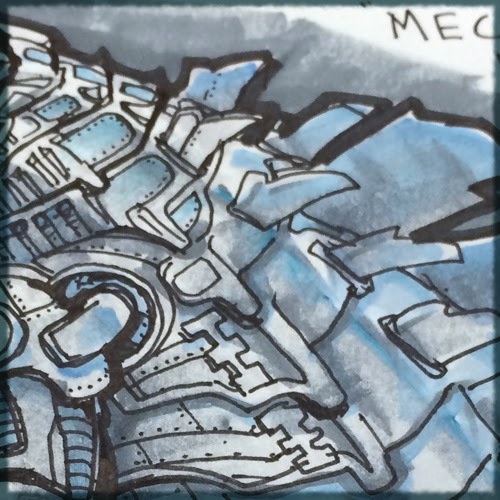 I'm sick of Mecha-G. Way too overused. A serious take on Jet Jaguar would be very nice.